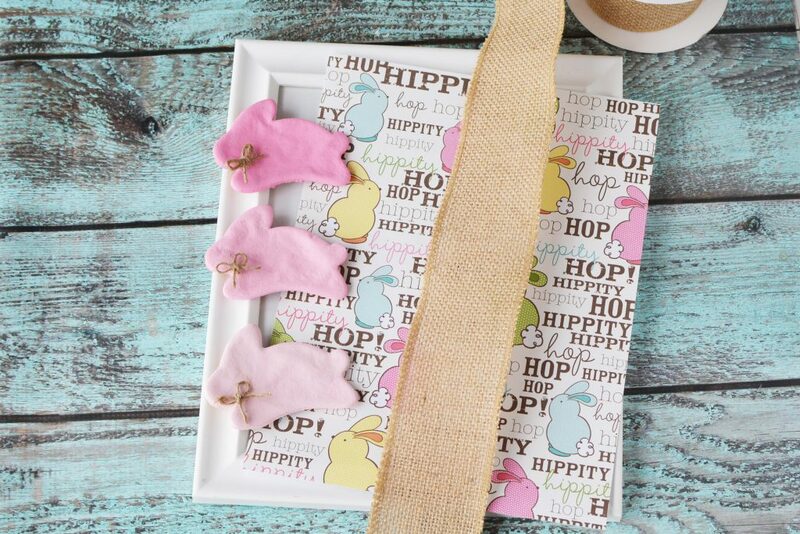 If you’ve been looking for easy Easter crafts for kids, this salt dough recipe and bunny frame is for you! 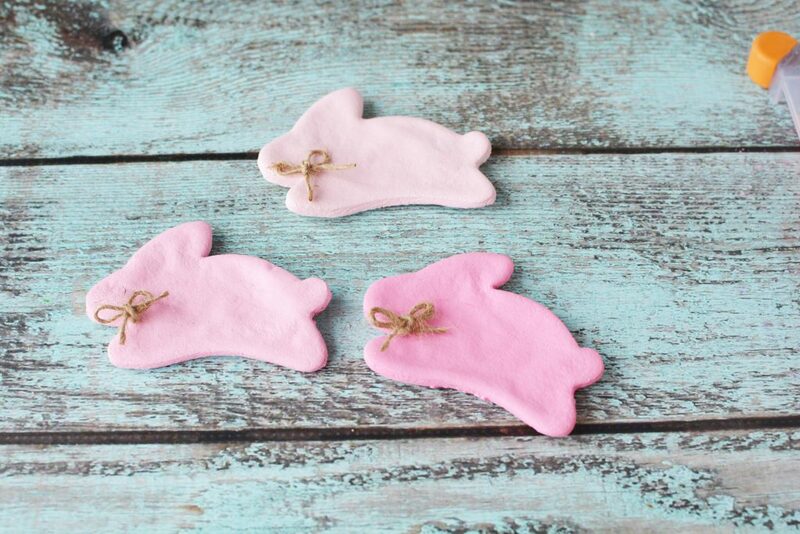 Kids will love making the salt dough and while I used pink for the bunnies, you can obviously choose any colour paint. 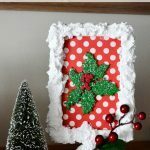 If your kids are too young to use a hot glue gun, regular craft glue will do the trick. 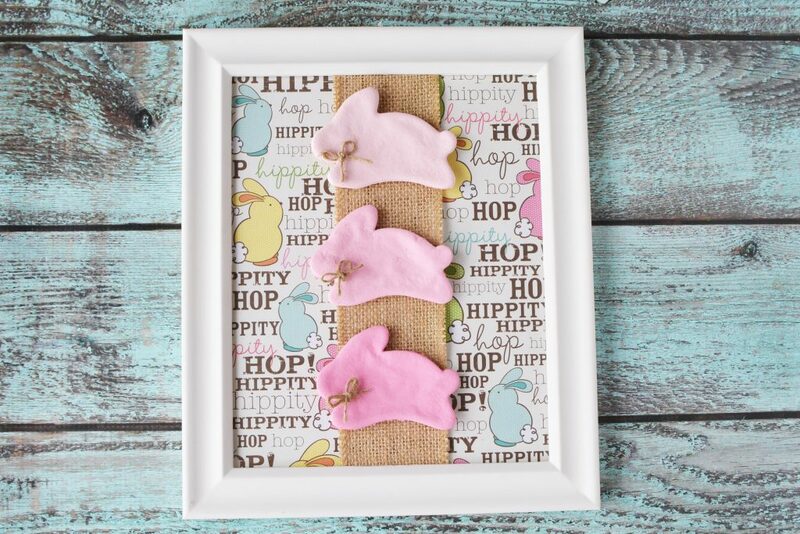 This DIY Ombre Salt Dough Bunny Frame is a fun Easter craft to make together and one that will provide happy memories every time you get it out to decorate. I recommend making the salt dough bunnies about 4 days ahead of painting them. This gives them ample time to dry. The thicker they are, the longer they take to dry. 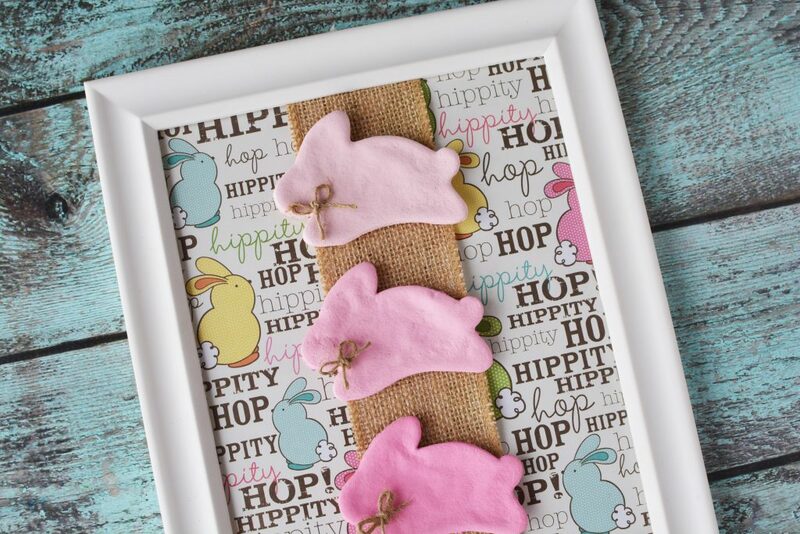 This recipe will make more than the three bunnies used for the bunny frame so you can make more than one frame or use them for salt dough ornaments! Add flour, salt and water to a mixing bowl and mix well until dough forms. 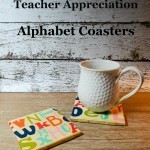 Add flour to a cutting board or flat surface and knead dough for about 2 minutes (this is a great job for kids!). While kneading, add flour to the dough to reduce stickiness. When the dough is no longer sticky, it’s ready to roll. 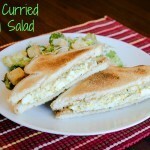 Use a rolling pin (sprinkled with flour) to roll the dough about 1/8″ thick. 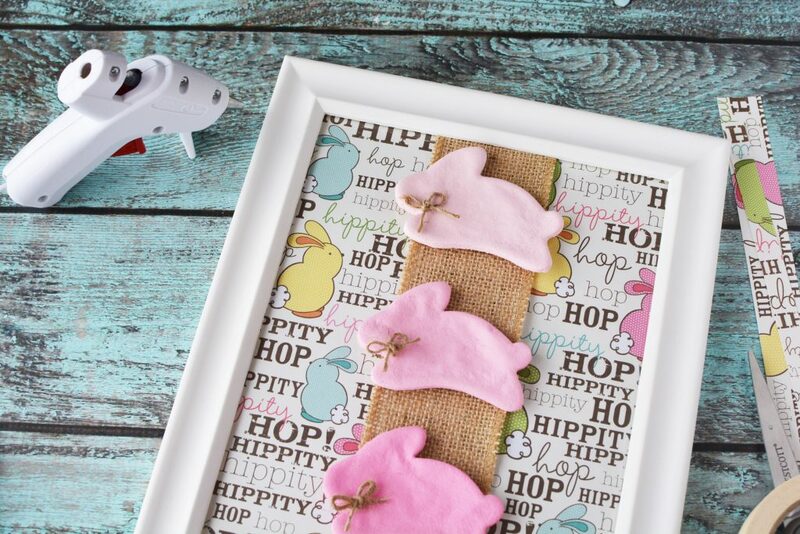 Use the bunny cookie cutter to cut out the dough. 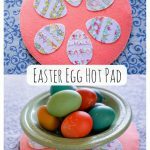 Transfer to a baking sheet and set it aside to dry for about 2-3 days, making sure you flip it twice a day (once in the morning and once at night works great). When the bunnies are completely dry, it’s time to paint. 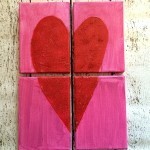 Make three separate dollops of pink paint, adding a different amount of white to create an ombre effect. Let dry completely. Cut a piece of jute twine and tie a small bow. 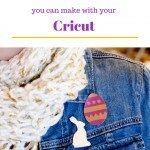 Trim the tails and affix to the neck of the bunny with hot glue. 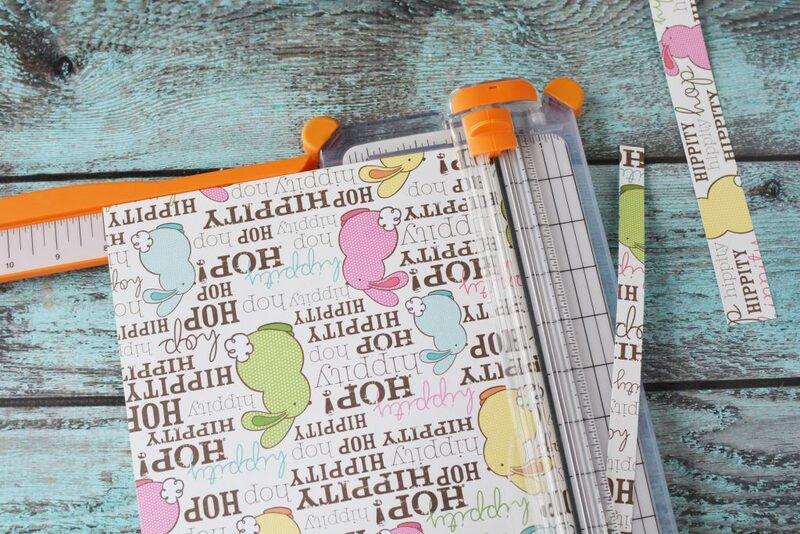 Use a paper trimmer to cut the paper to fit into the frame (I use a paper trimmer all the time and consider it an essential craft room gadget). 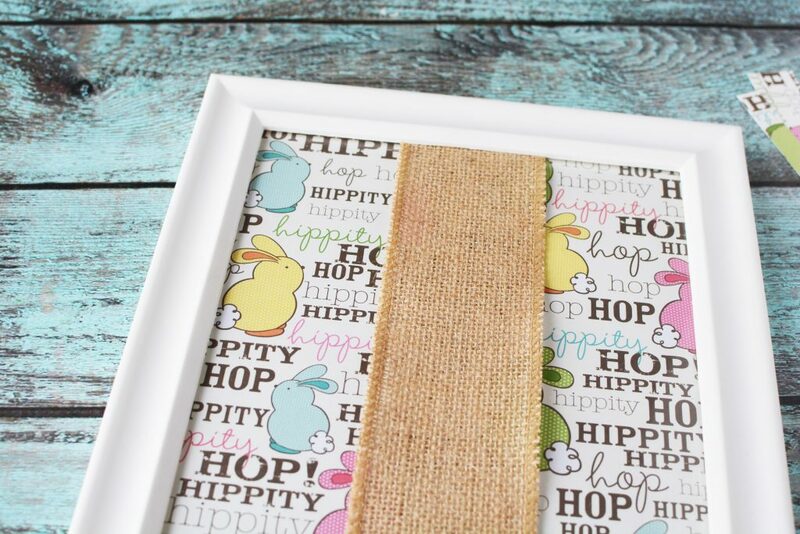 Cut a piece of burlap ribbon 2″ longer than the frame opening (if it’s 8×10, you’ll cut it 12″ long). 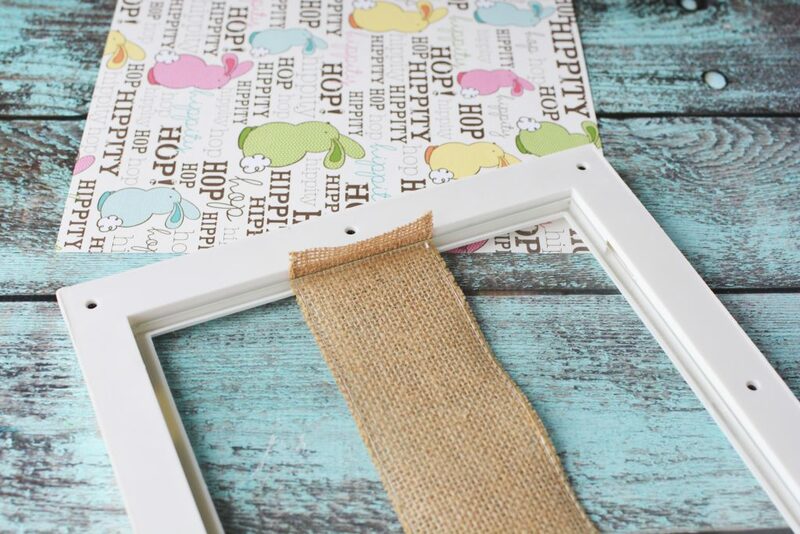 Place the burlap ribbon in front of the glass in the frame. 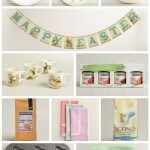 Gently pull on the ends of the ribbon so it lays flat against the glass. 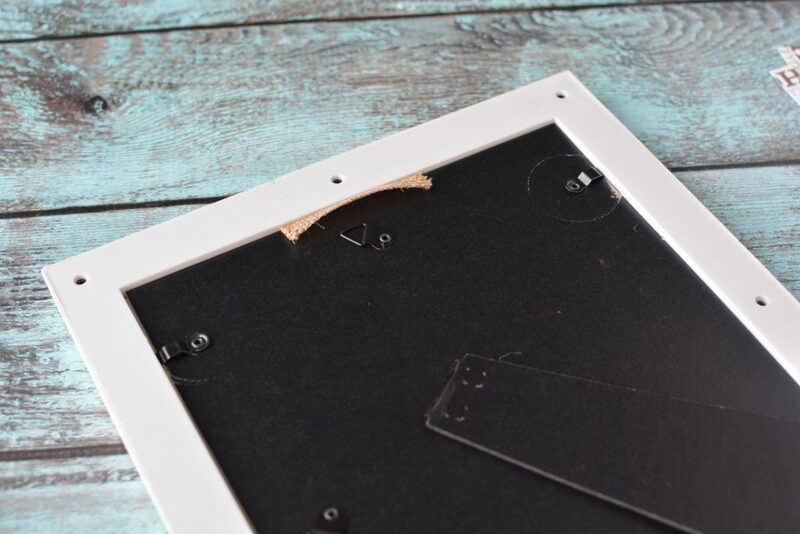 Add the paper behind the glass and close up the frame, tucking in the ends of the ribbon. 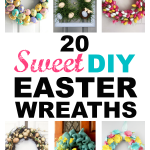 Affix the bunnies to the ribbon with hot glue and display in your home. 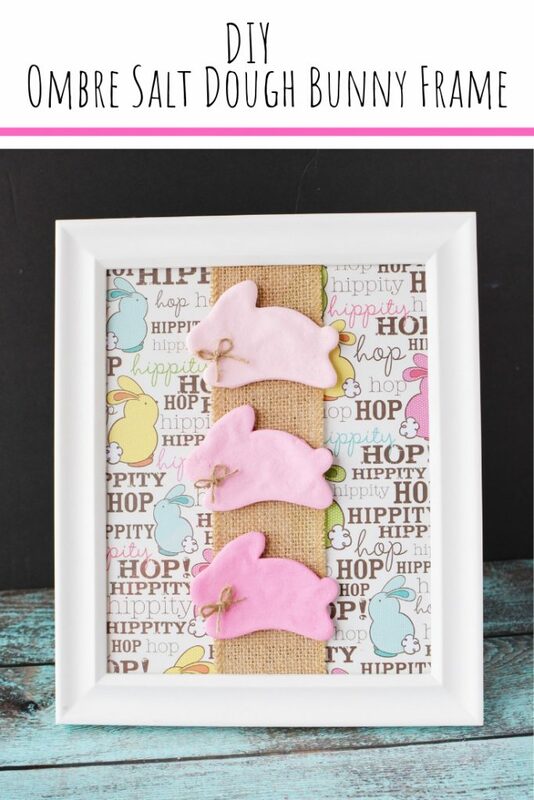 This DIY Ombre Salt Dough Bunny Frame is a super cute family craft and a fun addition to your handmade Easter decor.